In Saint-Paul, L'Esprit Tiki shop offers T-shirt designs. 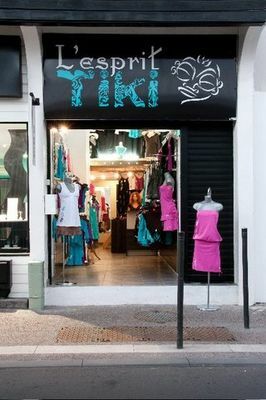 Located downtown, L'Esprit Tiki shop offers a range of t-shirts for women and children, ready-made garment created by the manager. It has a stall in Saint-Paul's fairground market on Friday. Environment / Access : From the Route des Tamarins exit, take the city centre exit of Saint-Paul, then city centre-the post office, go down rue Rhin et Danube towards the landing stage, the shop is in front of BR bank.